OAFC is the first and only free medical and supportive care clinic in Walworth County serving low-income and uninsured residents with primary medical, dental, vision, behavioral health, lab and pharmaceutical assistance. We believe everyone has the right to basic health care. Services are available for qualifying patients by appointment only. We are not able to accommodate urgent care needs without prior nurse triage. Professional volunteers have complete credential review, background check, and liability insurance coverage prior to serving at OAFC. Medications are dispensed only on Thursdays between 2:00 – 7:00 PM. Refill requests must be received by end of day Wednesday to guarantee next day dispensing. All donations of medicine, equipment, and services are reviewed prior to using for patient care. Please call first before bringing donations to the clinic. To better understand and serve with compassion the health and wellness needs of the uninsured, low income, and underserved residents of Walworth County. Our goal is for our patients and their families to have the same primary care and attention with respect and dignity we would want for our families. OAFC is an independent, community-based, nonprofit 501c3 charitable organization created in December 2011 to address those who are in the greatest need for medical care. Services are provided with dignity and respect by a volunteer team of medical and community-minded professionals. The need continues for helping our neighbors access medical care. 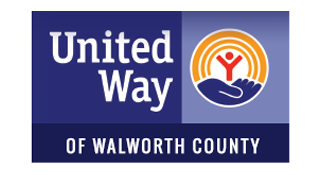 With the generosity of those who can help, the community has supported OAFC with millions of dollars of in-kind gifts and services because there are still over 8,000 Walworth County residents do not have health insurance, AND over 40% of all county residents still struggling to afford basic needs like housing, food, and gas. All people deserve the right to access basic health care. Chronic disease management and acute infections. No narcotics or scheduled drugs. Exam, x-ray, fillings, repair, extractions, and cleanings. Individual, family, and group therapy available.